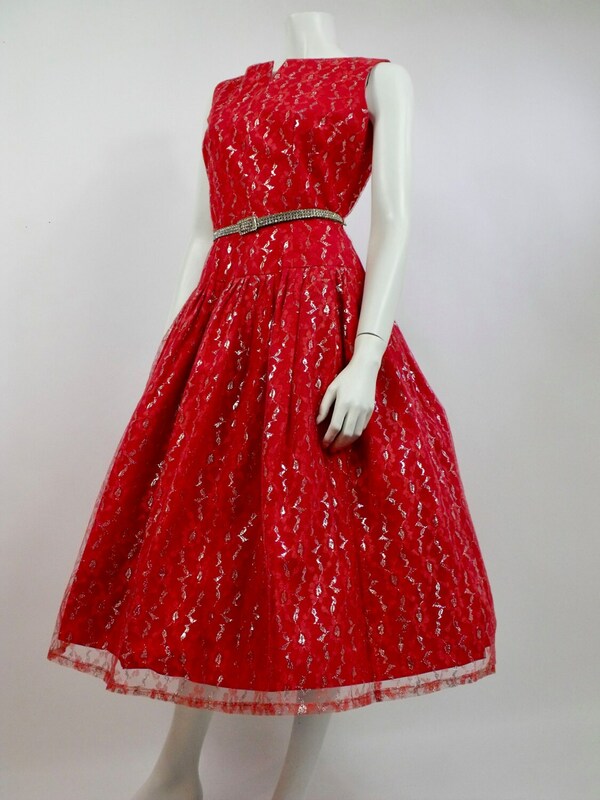 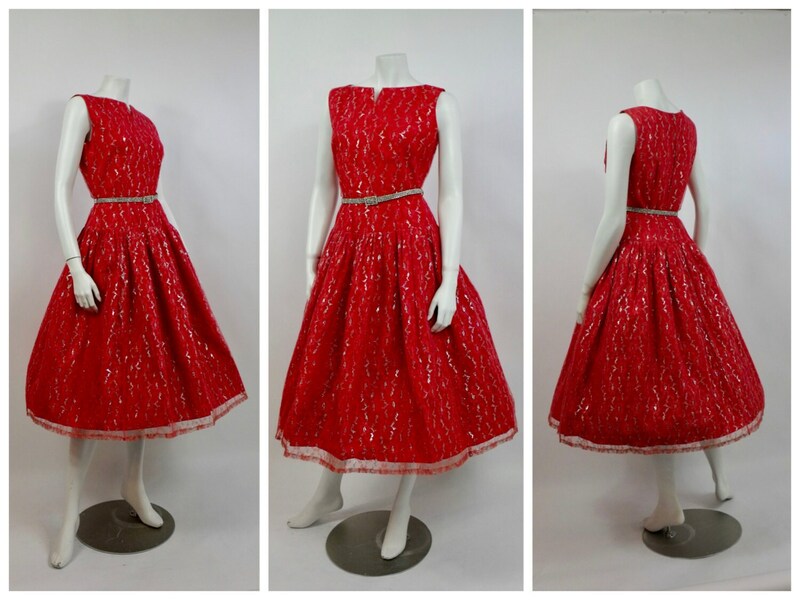 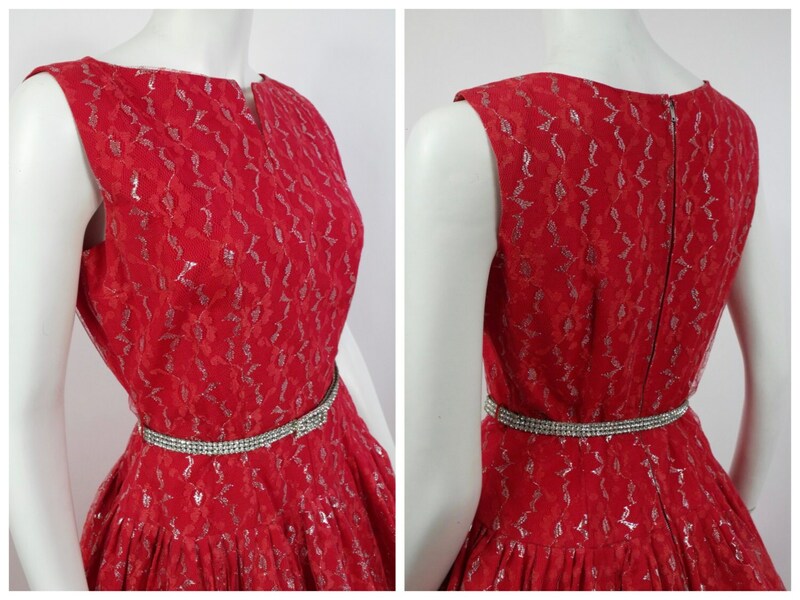 Red Cupcake Taffeta & Chantilly Lace Dress circa 1950's is in excellent vintage condition. 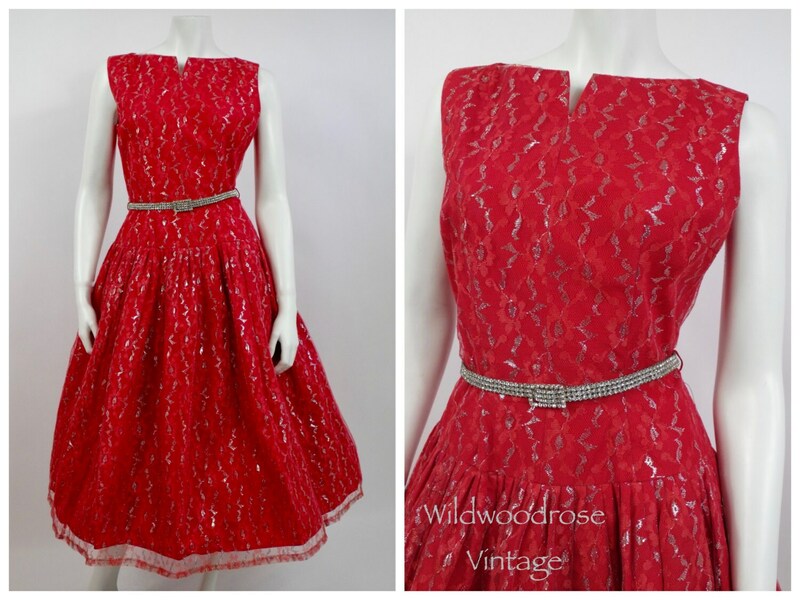 Incredible dress for the upcoming party season or Prom 2017! 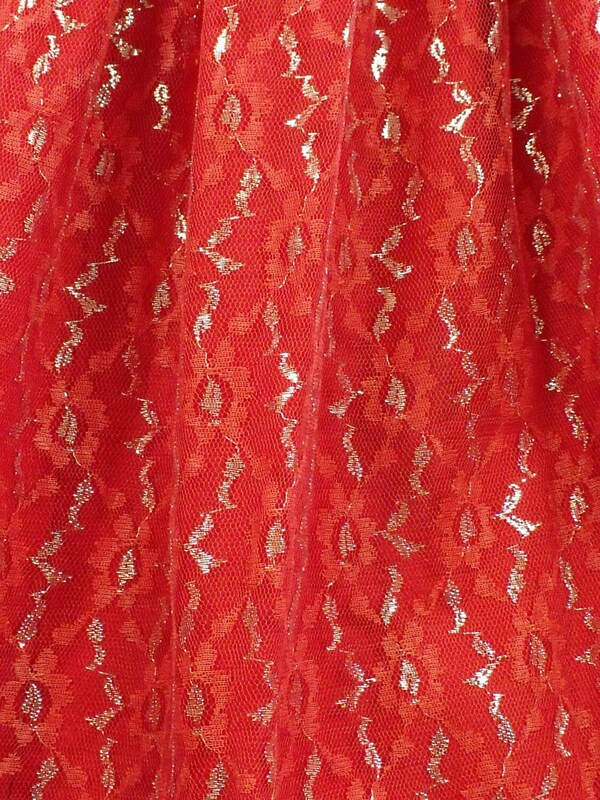 BEST FITS CONTEMPORARY AMERICAN SIZE 6 to 8.